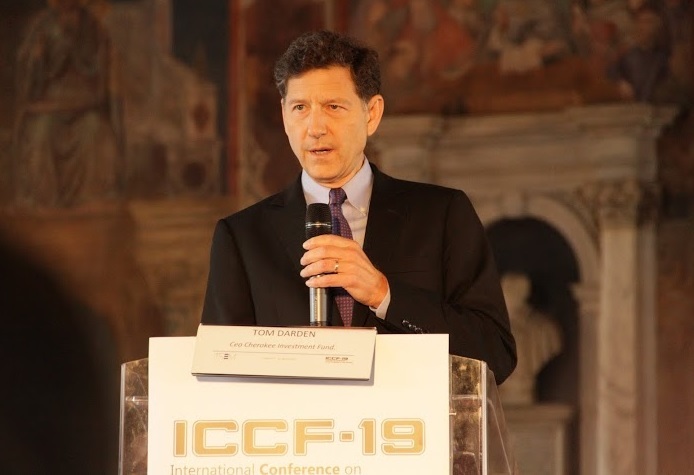 Tom Darden Speaking at ICCF19 — Courtesy MFMP. UPDATE: Since a COP (Coefficient of Performance — output energy/input energy) ranging from 20 to 80 has been reported, I can confirm that I have got the same information, although I think it’s wise not to pay too much attention to numbers in this case). (We also got good insights in the values and views behind Industrial Heat/Cherokee through the speech by CEO Tom Darden at ICCF, which is a must read for anyone wanting to understand his and the company’s background. Even more material is found in this extensive interview with Darden in Infinite Magazine). Since these results will be presented before the next ICCF, this year’s conference may have been the last before a major breakthrough for cold fusion. I attended the last days of ICCF-19 and I saw that it was historical also in another way, with a high number of attendees, close to 500, among them many young researchers which is promising since the field has been lacking new talent for many years. I was struck by the positive attitude and the good energy (!) that characterized the conference. The research that was presented ranged from energy production to topics such as aerodynamic applications, biological transmutation and remedy of nuclear waste through LENR. This should remind us of several things. First, that LENR covers a whole range of possible applications and also possible openings to new aspects of our knowledge on matter, energy and physics in general, backed by solid experimental work, although this is not yet recognized. Second, that there’s a vast experience of LENR experimental behavior and suggested theories in this community. Let us not forget this huge experience. I know that several LENR researchers have found themselves in difficult situations because of the focus on Rossi and the E-Cat. Popular views on the E-Cat have stolen the attention and been an indirect reason for closing down some research programs. This is sad. Because when results from Rossi’s MW trial will be presented, if not before, we will have a breakthrough for the view on LENR as an existing phenomenon. But we will still lack a solid, accepted theory for explaining it, which is necessary to carry on efficient engineering, also for Industrial Heat, even though Rossi has come a long way through intuition and some possible theoretical concepts. And to build that theory, all existing experience will be a gold mine. We will also need more experimental data from stable processes, hopefully from the E-Cat and from a series of new replications that are now going on. Among them are the efforts by MFMP and by the Russian scientist Alexander Parkhomov (it became obvious at ICCF-19 that Russia is very active in LENR research, and Parkhomov’s successful replications of the Lugano experiment are now backed by data on isotopic elemental shifts). Another effort will be made by the experimenters who performed the long term test of the E-Cat in Lugano last year. They have now confirmed that they have built an own reactor and will start attempts in May at replicating the process running in the E-Cat. A personal take-away from ICCF was also that I got the opportunity to meet several people in this community who I mention in my book, but who I had only been in contact with via phone and email, or not even that. This was the case with Carl Page (brother to Google founder Larry Page) who has been involved in the field since a long time, and who told me that he is an angel investor in Brillouin Energy, a LENR company which I also learnt more about, talking to its founder and CTO, Robert Godes. Carl Page is en early investor in cold fusion, but this year it was clear that more investor activities are starting, which is also a good thing if they are as responsible as Page and as IH/Cherokee seem to be. Another approach on investment, ecosystem and support for companies wanting to get ready for LENR applications is LENR Cities. On ICCF-19, the new Industrial Association for LENR, Lenria.org, was also presented (web site not yet active). What we should expect next are more results from replication attempts. I’ll keep you posted. The small reactor used by Alexander Parkhomov, glowing from heat. In just a few weeks, the whole landscape of cold fusion and LENR has changed significantly and, as many have noted, 2015 might bring a breakthrough for LENR in general, with increased public awareness, scientific acceptance and maybe even commercial applications. This is great news. For those who haven’t followed the latest events, let me summarize. Most important is the apparent replication of the E-Cat phenomenon by the Russian scientist Alexander Parkhomov. On December 25, 2014, Parkhomov, a respected and experienced physicist, published a short report on an experiment where he had used a reactor similar to the one used by the Swedish-Italian group in the Lugano experiment with Rossi’s E-Cat, and with similar materials in the fuel. This kind of replication, based on the information in the Lugano report, was what I predicted in the second edition of my book. Parkhomov reported significant excess heat from a very small amount of fuel, just like in like other LENR experiments, and the amount of released energy was in the range of kilowatts just like with Rossi’s devices, which sets them apart from most other LENR experiments. Although the report was more of research notes than a scientific paper, the method was so simple and straight forward that it was quite convincing. Obviously it was also important that Parkhomov had performed his experiment without any contact with Rossi or the experimenters at Lugano. A review of Parkomov’s report is made by long time LENR researcher Michael McKubre in the magazine Infinite Energy. Meanwhile Parkhomov has held two seminars in Russia on his findings, and he has released a second, updated report. Parkhomov’s report has inspired other groups to attempt a similar replication of the E-Cat effect. 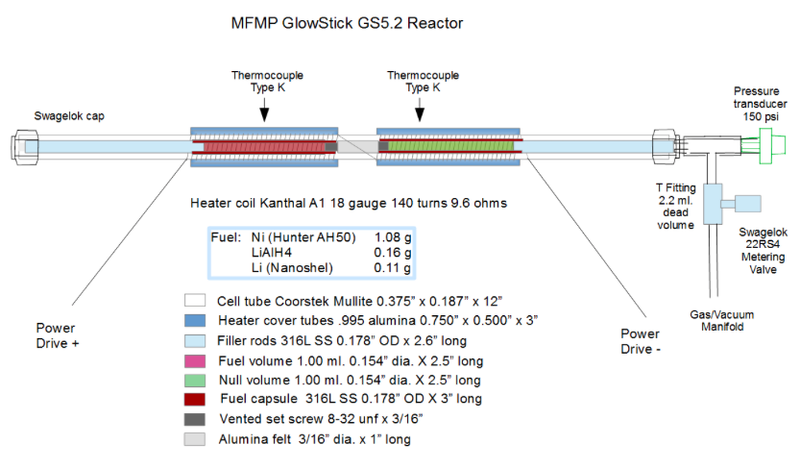 Martin Fleischmann Memorial Project, MFMP, which I report on in my book, had already planned a similar experiment, and the group is now ready to start this work, with support from Parkhomov. Renowned LENR researcher Brian Ahern has also plans for a similar experiment. I also know that the Swedish-Italian group that performed the Lugano experiment is working on continued investigations of the effect, although I cannot report any details of their work. Apart from these, there are most probably many others who are trying the same thing without giving notice. It must be stressed though that such replication attempts should only be initiated by trained personnel in proper labs with rigorous safety equipment. The nano materials used are hazardous and unexpected effects, included radiation, cannot be excluded. One reason for believing that many attempts are being made is that the Lugano report which was published by the blog Sifferkoll.se just a few hours before I published it here, has been downloaded from Sifferkoll about 150,000 times by now. Torkel Nyberg who runs the blog recently told me this. Apart from attempts at replicating Parkhomov or building on the information in the Lugano report, I would also expect more and more researchers to do other experiments within the same domain. Some useful knowledge of this kind might come out of the collaboration between MFMP and the Italian researcher Francesco Piantelli, who used to work together with late Prof. Sergio Focardi before Focardi started to help Rossi (read about Piantelli and Focardi in my book). MFMP went to see Piantelli in his lab in Tuscany, Italy, in January 2015. 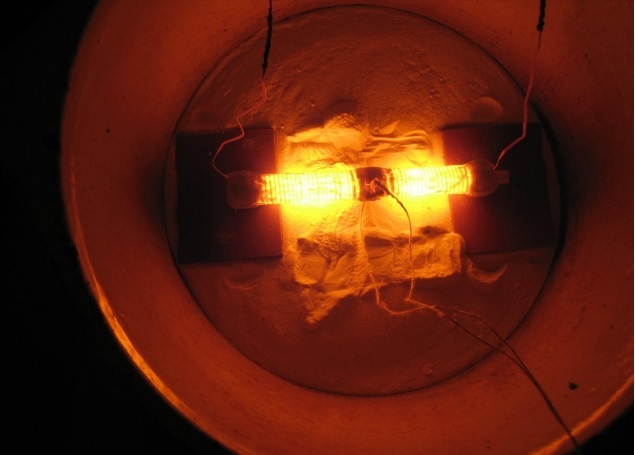 I joined them for a few days to take part in the discussions, and found out that MFMP had a good contact with Piantelli, learning a lot from his long experience of LENR systems with nickel and hydrogen, which are different from the kind of system Rossi, even though the main elements are the same. I have no direct knowledge about Piantelli’s experiments or results. As you can read in my book, he has strong opinions on how scientific work should be performed and reported, and it’s not easy to access his work. But he could very well have gained substantial amounts of knowledge which could show to be useful. On the other hand, also Piantelli warns for unexpected effects, including radiation. It’s a good thing that MFMP sticks to the idea of open science, publishing results and experiments in real time, and that the members have declared that they will never sign any kind of NDA. In this way, there’s good hope for new knowledge being communicated to other interested researchers, and that the this knowledge might grow significantly over time. All in all, things are starting to move, and they might move very fast now. On the other hand, as I note in the second edition of ‘An Impossible Invention’, it seems that we will not get much information from Rossi and his industrial partner Industrial Heat during 2015. Rossi still claims that he and IH are working with a 1 megawatt plant installed at the premises of a customer on commercial terms, but that they will not be ready to show the working plant until it has been running for a year. There’s no way to confirm this, but let me just say that I have reasons to believe that the megawatt plant exists and works and that the collaboration between Rossi and IH goes on. In any case, this year might be decisive, and I invite you to talk about this with friends and colleagues who have not yet discovered what’s going on (for anyone who wants to know a little more, An Impossible Invention is now available both as e-book and paperback through Amazon).